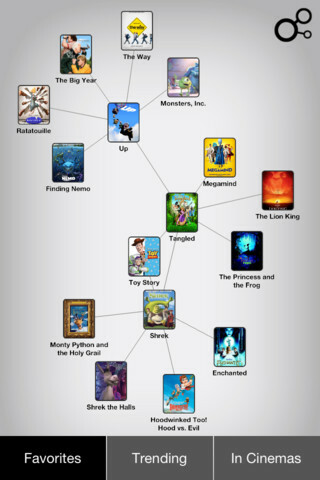 I will probably never remember the name of this app (luckily I can copy paste it here :), but it's the type of app that you see once and it leaves its impression you (at least for me it did). 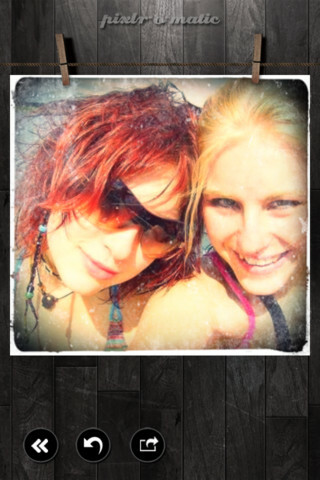 Pixlr-o-matic is a "darkroom app" that not only looks great, but also creates beautiful results. It's designed to be very easy to use so that anybody can choose a picture and create stunning professional looking results out of it. It makes you look like an expert photographer and Photoshop master, all within a few clicks. Obviously you can share your completed photos on different social networks, save them to your Photo Library, or email them. 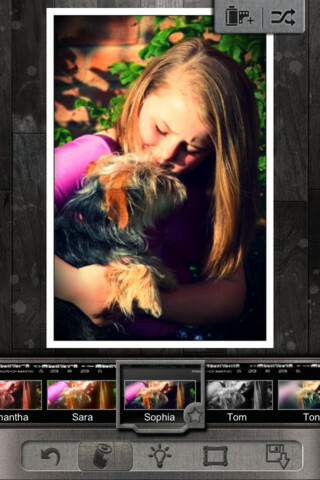 Pixlr-o-matic works on both the iPhone and the iPad (the iPad version is really beautiful) and is free. There is also an online version of Pixlr-o-matic that you can use on your desktop browser, plus they have a downloadable version, a Facebook version, a Chrome web app, and an Android version. The first line in the AppStore on CloudOn's page pretty much explains what it does: "For the first time you can get Microsoft Office on your iPad. Seriously." 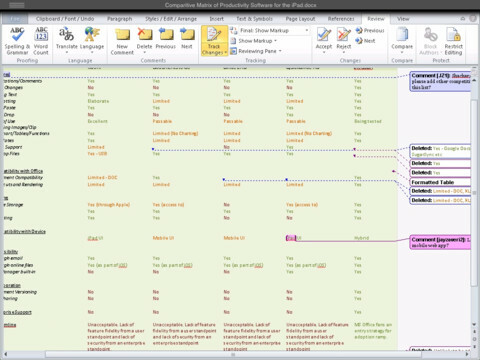 And when they say Microsoft Office, they mean, full-fledged, Microsoft Office with all the features. Oh and it's free! In addition to giving you Microsoft Office on your iPad, CloudOn also seamlessly syncs all your Office documents to the cloud, using your Dropbox account. 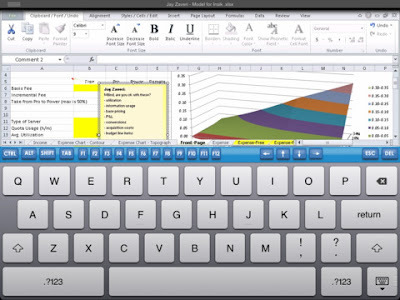 So any Office document you have in your Dropbox account can now be edited and accessed from your iPad. For free (did I mention that already?). CloudOn also lets you create new Word, Excel, and PowerPoint documents which are automatically stored, as you work, in your Dropbox account (you can later edit them just like any standard Office document). I must say I was quite impressed by the quality of this app (and the AppStore reviews about it all seem to be positive too). 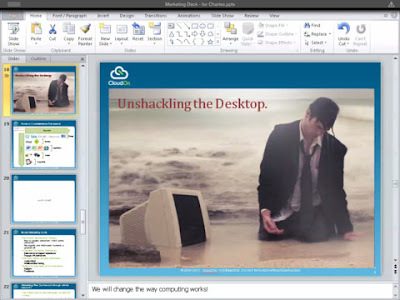 For those interested, the way CloudOn works is that the app connect to Microsoft Office that is installed on CloudOn’s servers. So your iPad is actually just the display for what is being processed on the server. That's what lets them give you access to real Microsoft Office, with the same look-and-feel and features. 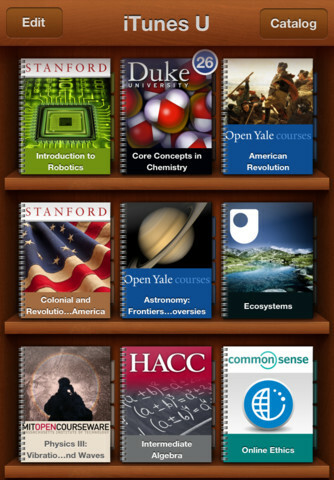 CloudOn is free (in case you didn't notice yet) and only works on the iPad. 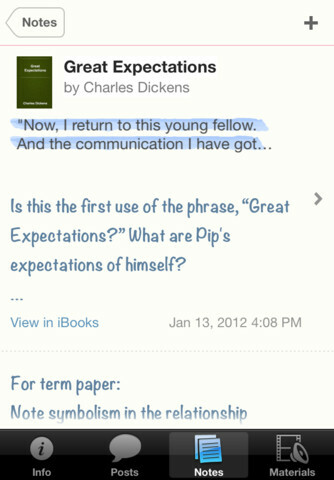 It requires a Dropbox account (which is free to create if you don't have one). People love sharing funny videos with their friends. The problem is how do you keep up? 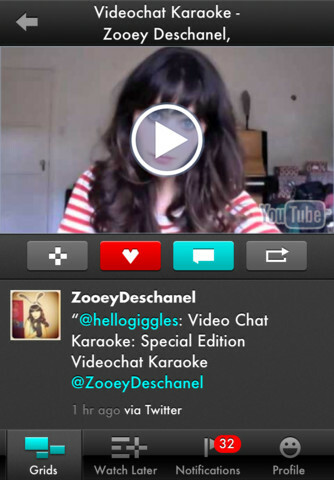 Showyou is a great way to watch videos shared by your friends on Facebook, Twitter and other popular social networks. 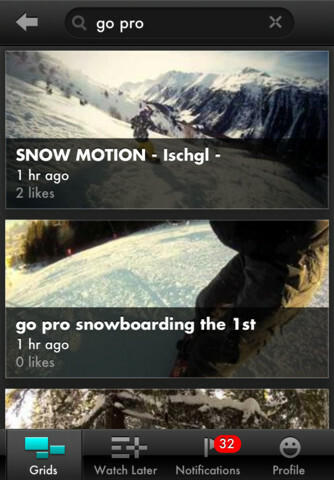 You can also browse videos by category, or search for something more specific. 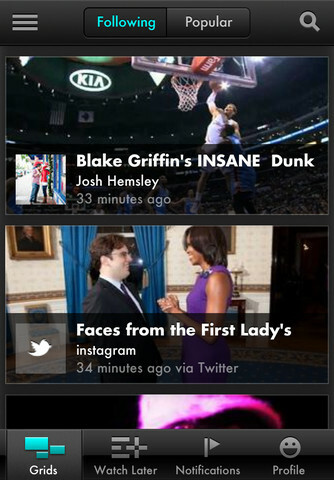 So if you have a few minutes to spare, just pop up the app and see what videos your friends have recently shared or are currently popular. You can follow specific people (the app recommends friends to follow based on your current Facebook and Twitter friends) or channels based around different topics (design, comedy, knowledge...) so that whenever you open the app the videos you see are according to what interests you. 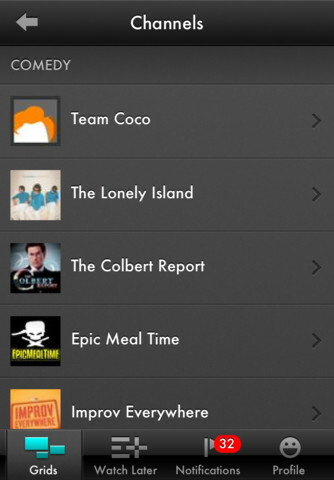 These channels include names like The Daily Show, Colbert Report, TED, Reddit TV, Stanford University, and more. 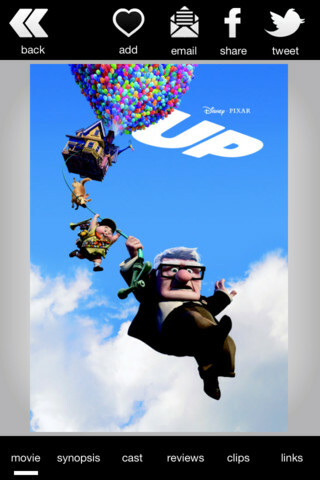 When you see a video you like you can share it with you friends on Showyou, Facebook, Twitter, or by email. Another nice feature Showyou has is the ability to add videos to your Watch It Later queue so you can watch them later on. 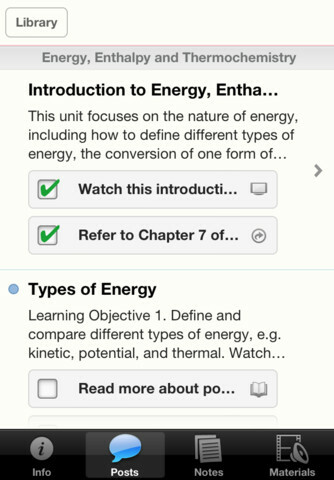 Showyou is a universal app that works great on both your iPhone and iPad. You've probably seen some people post collage pictures that have 2 or 3 photos in them within a nice frame, and were wondering how they made those. 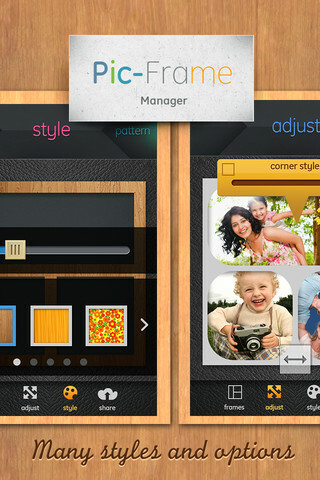 Pic-Frame Manager is a useful iPhone app that lets you create those photo collages. Using Picframe is pretty straightforward, you start off by choosing what frame you want, could be two pictures next to each other, one big picture on top and two smaller on the bottom, etc..., there are a bunch of templates to choose from. 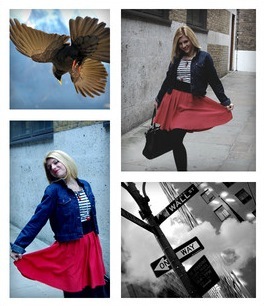 Then you pick what photos to put in each frame in your collage, and finally play around with the different styles. You can choose colors and textures for the frame itself, change the sizes of each frame, and set the corners of the frames to be round. 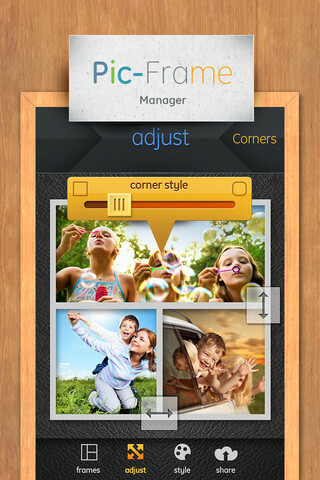 Overall, it's very easy to create your picture frame and then you can either save it to your camera roll, send it by email, or share it on social networks like Facebook and Twitter. 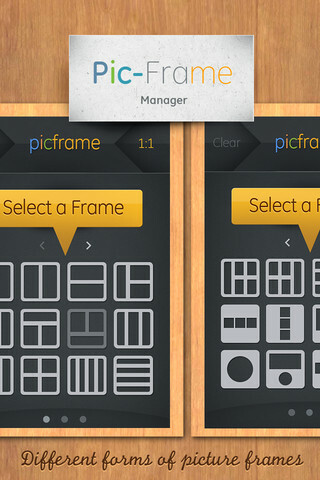 Pic-Frame Manager costs $0.99 and there is an iPad version that also costs $0.99. Topple is a fun game where you need to stack falling blocks on top of each other until they reach a certain height without toppling over. 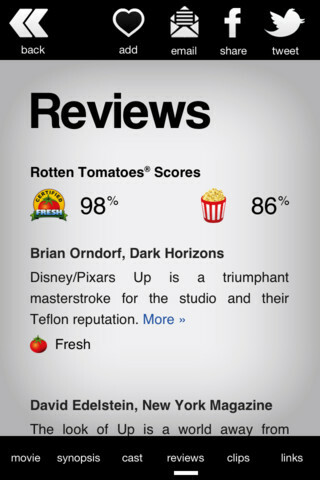 Topple is really nicely done and even won the 2009 Apple Design Award. 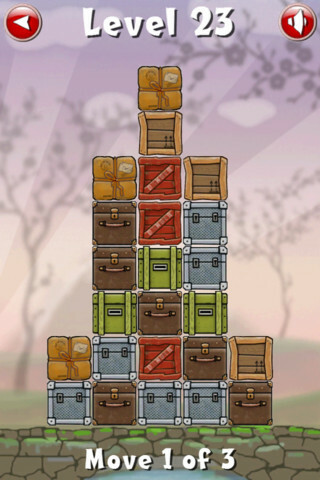 Similar to Tetris, pieces fall one at a time from the top of the screen. 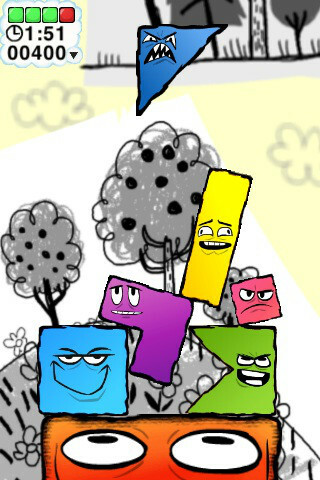 You can rotate each piece and your objective is to stack them on top of each other till they reach a height goal. Once you reach that height you can keep going for extra points till either your time is up or till your tower falls over. You can play alone or along with your nearby friends via Wifi. They even have a mode where you can send your "ghost play" to a friend who is not near you so that friend can play against you at their convenience. 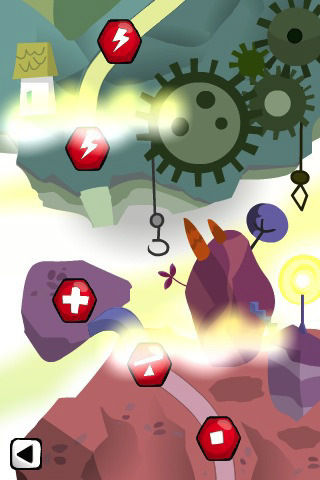 Topple 2 costs $0.99 in the AppStore. 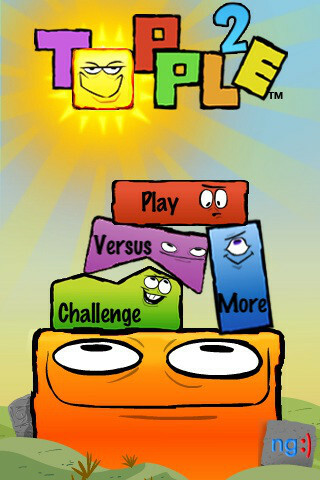 They also have Topple Plus+ which uses the Plus+ Network for leaderboards and friends. You may have seen people post great looking panoramic photos and wondered how they created those. 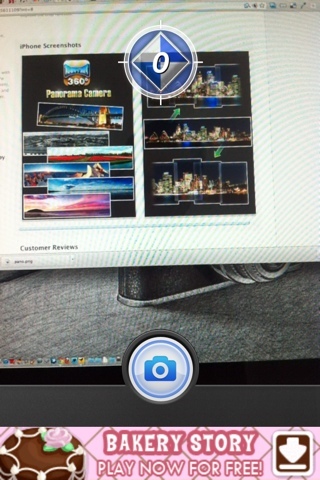 Pano Camera is just the answer to that, and it's free for now. If you're not familiar with panoramic images or how to create them, basically you shoot multiple pictures of a scene and then stitch them together using some kind of photo-stitching software. To get good results you typically need to use a tripod so the pictures are more or less aligned. 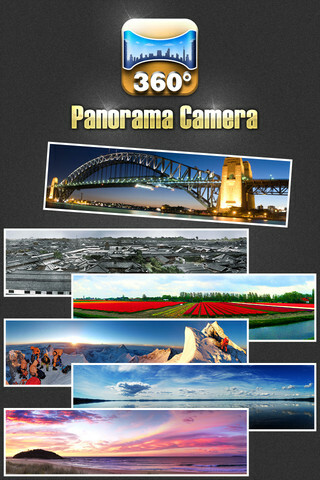 Pano Camera lets you easily create panoramic photos, without much hassle. It has a couple cool features that make your life easy when you take the photos, and it stitches them up for you seamlessly. 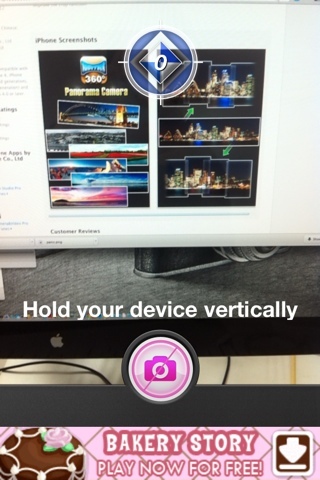 First of all, Pano detects when you are holding your phone up vertically and only then lets you take a picture. 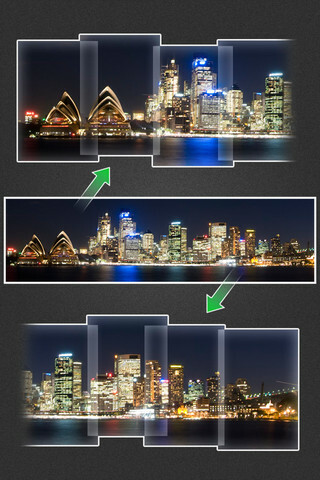 That makes a big difference and lets you take your photos without a tripod. The second useful feature that Pano has is an alignment indicator that shoots your photos when your camera is at the right spot so that all the images align properly in the final panoramic image. So all you do is line up your phone for the first shot, hit the camera button, and then move your phone right or left to line up the indicator. 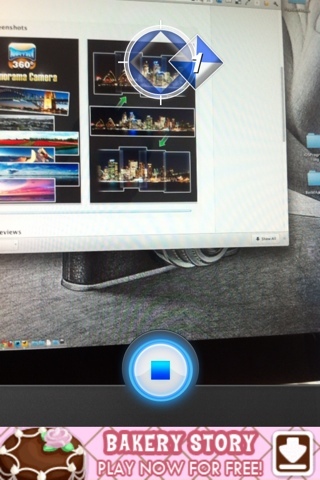 Once it's lined up the app automatically takes the photo for you and moves the indicator to the next spot. You then move your camera till it lines up again, and so forth. Once you've taken enough shots, hit the stop button and the app does the rest to create your final panoramic photo. It even has a crop feature so that you can cut off the sides of the image that sometimes don't come out good. 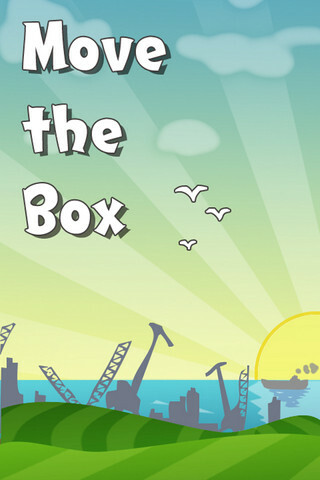 Move the Box is a logic puzzle game for the iPhone. The concept is really simple (like good games usually are): you move boxes around in order to line up at least 3 of a kind. 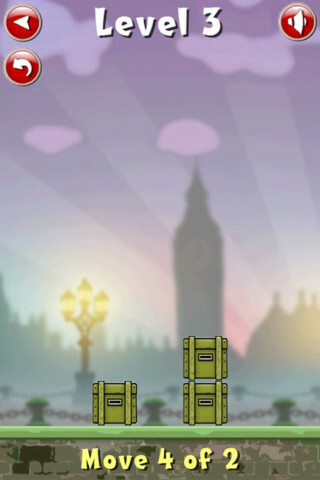 Move the Box starts off with a few very simple levels to teach you how the game works. You can move, drop and swap the boxes. Three or more boxes of the same kind in a line disappear. So what's the catch? 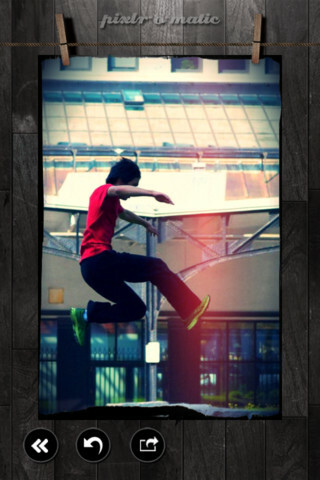 You only have a limited number of moves in each level. 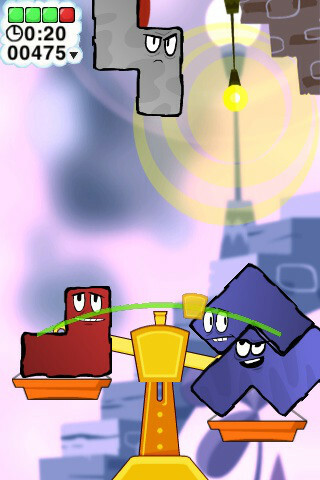 The goal in each level is to move the boxes in less than the number of allowed moves, in order to clear all the boxes in the level. 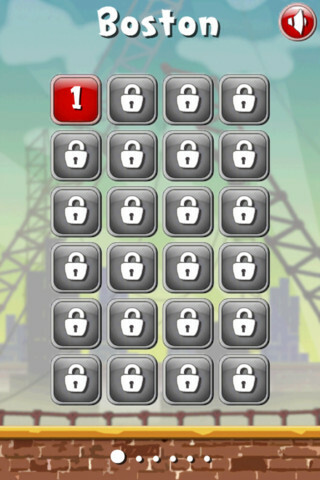 After the first few levels you'll see that it quickly gets more complicated. The graphics are nothing spectacular but ok (they tried to go for a style that resembles Angry Birds) and the sound is pretty solid. 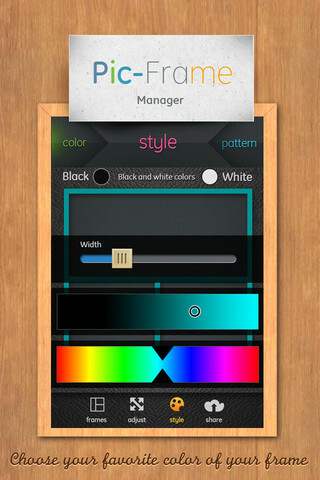 Move the Box Pro is currently free and is compatible with iPhone, iPod touch, and iPad (they also have a "lite" which will probably remain free). Forget all the useless flashlight apps, games that let you fling birds at pigs, and unit convertor apps. 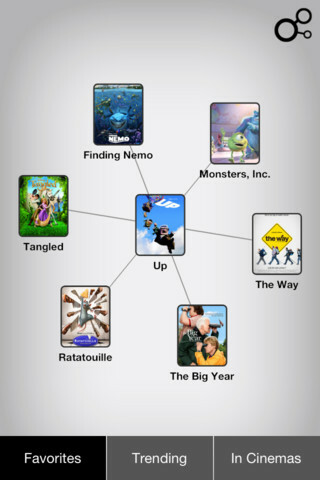 Here's an app that's finally groundbreaking. 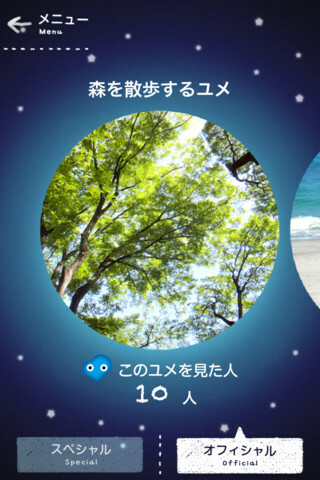 Yumemiru lets you control your dreams. 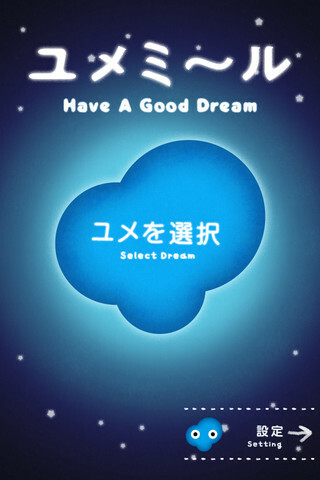 This Japanese app for iPhone detects when you enter the dream phase of your sleep and then it plays a soundtrack you chose, which influences what you dream about. The way it works is that you run the app and place it next to you when you go to sleep. The app has a timer and after a while it uses the phone's microphone to listen to you and detect when you've reached the REM phase of your sleep (which is when you start dreaming). It then plays a different soundtrack according to the type of dream that you selected you want. The sounds include sound effects and voices that direct your dream. The currently available dreams in Yumemiru include walking through a forest, going to the beach, flying in the sky, becoming rich, and romantic dreams for dreaming about men or women (your choice). 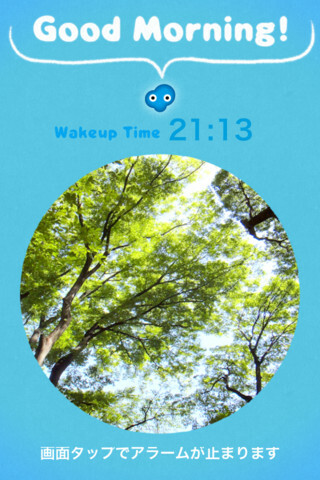 The app also includes an alarm clock to wake you up at the right time. 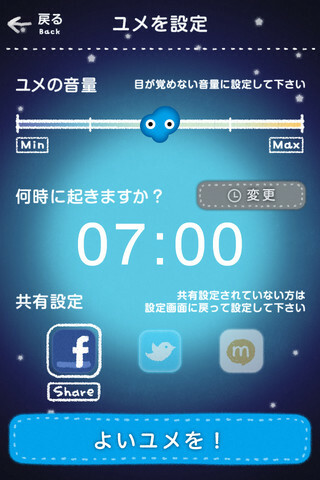 Yumemiru is free and works on your iPhone and iPod touch. It is currently in Japanese so may take a bit to understand how to work it.